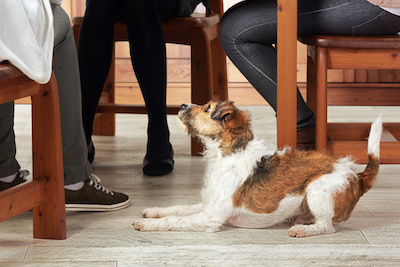 Your dog probably hardly ever “truly” gets in trouble when guests are over visiting! The same goes for kids and guests. I remember when I was a kid, I looooooved having company over for dinner. Usually, whoever it was, would fawn over us kids and we could talk and entertain and show off, and the dinner guests would love us. Even as I got to be a teenager, for the most part, I loved having new people over and getting to know them. Sure, we had to show good behavior, but our rules were also a little lax. However, the big difference is that we, as children, had the mental capacity to understand that if we really screwed up and showed bad behavior of some kind, we would be harshly punished later when the guests had gone home. Let’s say, for instance, I wanted to go to a party at the end of the week at a friend’s house, and so I asked when guests were over. When my parents deny me, I cuss and tip the table and storm out of the room. At my house, as a kid, this would have been a death sentence. I could have written my own memorial easier. Because I knew my parents were strict, this never would have happened. I also had respect for them. And, 30 years ago, they would have backhanded me in front of guests. I had the mental capacity to know that if I made a horrific mistake or showed terrible lack of judgment, I would be dealt with either then or later, or probably both. Your dog doesn’t have that mental capacity. You could correct him until you are both black and blue after an initial mistake and the dog would never put two and two together to come up with four. He would think you are mean and insane and beat him for no reason or for whatever he had just done (like coming over to you). Dogs live in the moment. Dogs do not live in the past!! Dogs are not capable of planning into their future, and they are not capable of remembering a behavior that was done several minutes before. We must train our puppies and dogs!!!! We must teach them how to visit and interact with our guests! What is more important than learning how to act, and react, when people come into your home? And, how do you expect your dog to know your expectations if you have never taught him? Would you expect a child to know without learning? However, children understand and speak our language, so communication is easier with them. Let’s say you had a child from another country visit who didn’t speak our language; would you expect him or her to know exactly how to act and react appropriately? Probably, not. You would likely take this child by the hand and teach him what your expectations of him were in those moments. You would also likely do so with gentle, caring, compassion and patience. After all, the child doesn’t know, and you want him to learn. Then why do we expect our dogs to simply spring from the womb knowing our expectations and why do we think losing our temper or ignoring bad behavior is acceptable? Either expectation is as detrimental. 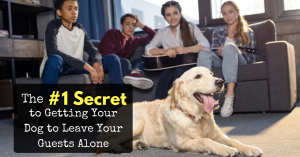 How Do You Get Control of Your Dog When Guests Are Over? So, how do you get control of your dog? How do you take him for a walk? How did you teach your dog the things that he knows? Put your dog on a leash for training, and learning manners and impulse control in the house!!!! Reward him for good behaviors (sitting calmly, laying down, calmly paying attention to you and not your guest), allow him to be rewarded for the good things he chooses to do. Just like you would reward the exchange student or child with praise or something he wants. Take this opportunity to teach him to sit or lay down to be petted. Show him what you want him to do. At my house, I like my dogs to lie at my feet when I have company. They are close to me, and I have ultimate control of their behavior. Plus, if they are lying at my feet, they are not jumping on or sniffing my guests, much less showing aggressive or protective behaviors that might get my guests bitten. In the beginning, and likely for many months, my dog remains on a leash when company visits. My dog is conditioned that when we have company, I like them to lay at my feet, and reward them (with tasty treats) when they do. Eventually, my dog simply understands when guests come over to ignore them and to lie at my feet. It is simple. I shape the behavior I want. Jumping on my guests and lying at my feet are incompatible behaviors. What is the #1 mistake that you can make, and 99.9999 percent of people make? The biggest mistake is allowing your dog to think that your guests are cooler, and more fun and important than you!!!! 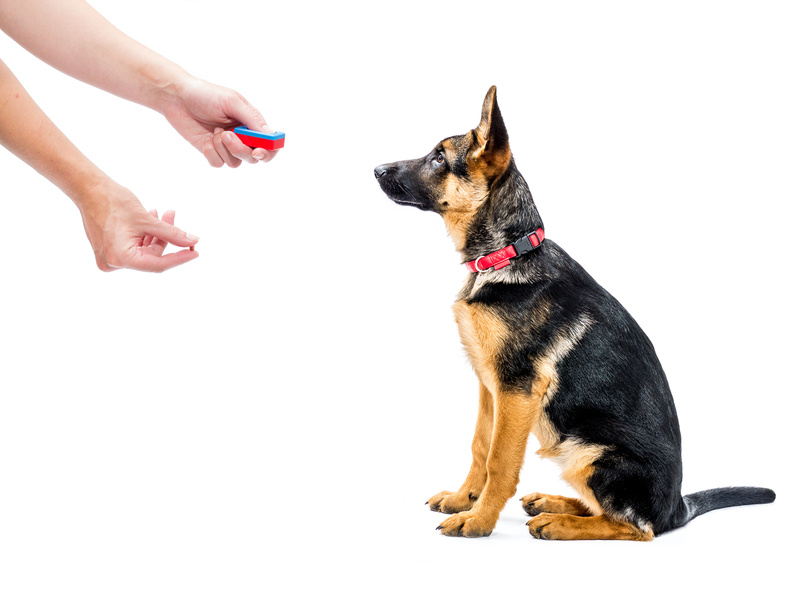 There is a myth out there: give your guests treats to give your dog. Okay, okay. I do this with dogs that have social anxiety, but I have a rule. Give your guests bland treats to give your dog, so the dog will think people are good… but you are better. Keep the steak in your pocket. I want my dog to know I am in control of the best things. Sure, I want him to like and accept my guests. But I want him to CARE most about me! I want to be the BEST thing in his life, and his world. I don’t want him performing for my guests; I want him performing obedience for ME!!! I want him to show good behavior. I want my guests’ minds to be reeling about how my dog is so well behaved when they leave. I want, when I visit my friends’ houses for vacation and ask to bring my dogs, that they have no hesitation. I want my guests to think my dogs are the coolest things on the planet while my dog KNOWS I am! If I give my guests the steak and allow my dogs to jump wildly on them, I am teaching my dog that other people are more important. I am teaching my dogs to ignore me and reward themselves with bad behavior directed toward my guests! I want my dogs to think I am the most amazing thing to walk the earth. I control the best food, I play the most fun games, and I stimulate their mind through obedience! At that point I have not only won the battle; I have won the war!